A super stylish wall hanging with a creative Style of the Old West and historical Texas. 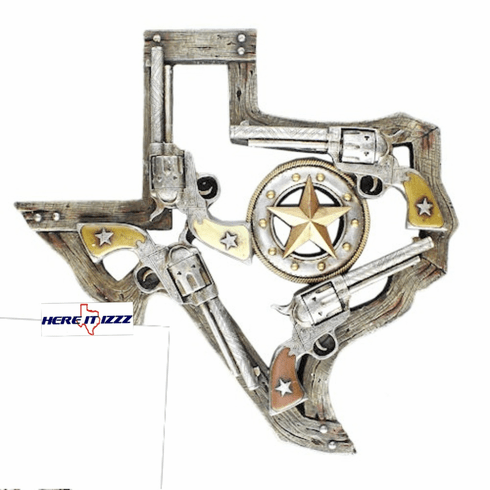 This great wall decoration is crafted in the image of the State of Texas map. For six shooter guns surround a star emblem painted in gold.